Southern Living: Preppy Style: What A Girl Wants! I realized that in my lack of blogging, I haven't done a current obsessions blog post lately! So here, it goes! 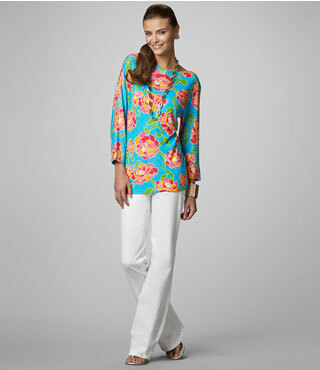 Now, can't forget about my absolute favorite, Lilly Pulitzer! Since I am a full-time working mom, I can't wear all Lilly items to the office, but I was pleased to see that several from this season are work appropriate! I love the Jonah dress, one of my favorites! I love the Char top for Sunday church dress, or I think it might be able to be paired with a cardigan for the office during the summer hours (it can get chilly in my office). But, the Saemus dress, my favorite go to for casual sunny days in the south Florida weather. We have a festival of some sort every weekend (i.e. seafood, Italian, Greek, dancing in the streets, antique shows). Two years ago, I would have never dreamed of wearing gold flats. In fact, I bought some (not Revas) and promptly sold them for their original price without ever wearing them! I wish I'd have kept them as now, gold is certainly something that matches quite a bit in my closet. Which gold flats would I buy? 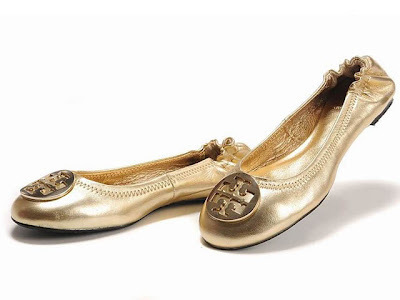 Why Tory Burch Revas of course! I HEART L.L. Bean! 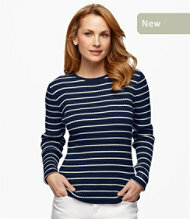 This past year, they have put out some really classic and preppy-licious clothing! 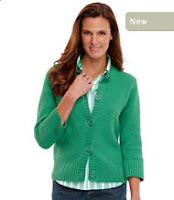 This green zipper sweater/cardigan, I would take one in every color. I have a pink one by Polo and I just love it! The blue camp shirt, if you've seen the catalogue, they have a navy blue/white polka dot with the sleeves rolled up....right up my alley. And, though horizontal stripes are not always a girls best friend because they make us look wider, I love the navy and white look with white shorts or pants. Makes me want to go yachting! Does anyone want to take me for a summer adventure on their yacht? Must not forget Lallie in Lilly! The Little Lilly is perfect for Lallie because it has pockets. Lallie loves carrying around teeny tiny toys (i.e. squinkies, miniature princess dolls, earrings). She loves keeping them in her pockets in a safe place. It amazes me that she can actually keep up with them! The miniature Jonah dress! How cute is this in velour? Comfy and adorable! Anything you've been obsessing over that you'd like to recommend to me? My wallet (and Husband) will thank you!! Also, my Hunter Wellies. I can't say I love wearing them cause it hasn't rained. Now that I have them, it'll probably be a drought! That Seamus dress is FAB!!!! You should def. get that, lol!! If you have a Belk around you, they are having a huge sale. I bought F O U R pieces of LP today, with tax, it was $50.14!! I got a dress shirt, 2 sleeveless shirts and a dress....RUN don't WALK! What a beautiful and brilliant list! The colors alone have me wishing for warmer weather. I suppose I should be thankful Tokyo is considerably warmer than most places right now. Still...the Lilly dresses are just so pretty! LOVE your pics!!! I love my TB gold revas also!!! I'm with you on the Rivas, however, I don't own a pair. I would love some black patent Rivas. I can totally see Lallie in those sweet Lilly's too...just right for her. Now about me coming to bake for you. I swear if I thought they would make it or even taste halfway decent I would bake those sweet rolls for you, but I'm afraid they would lose something in transit. Darn! Try that recipe and tell me how it goes. You don't even have to do any of the work. Everything is made for you. You just throw it in a pan, wait and bake. C'mon...you can do it. Love the Finn Shift too! So perfect for work. I adore the Finn shift! 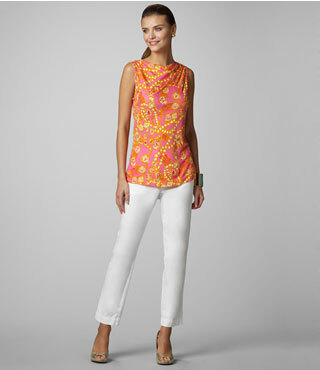 I bought it in the navy and I was driving home and called my Lilly store to buy the black as well! Its so great!